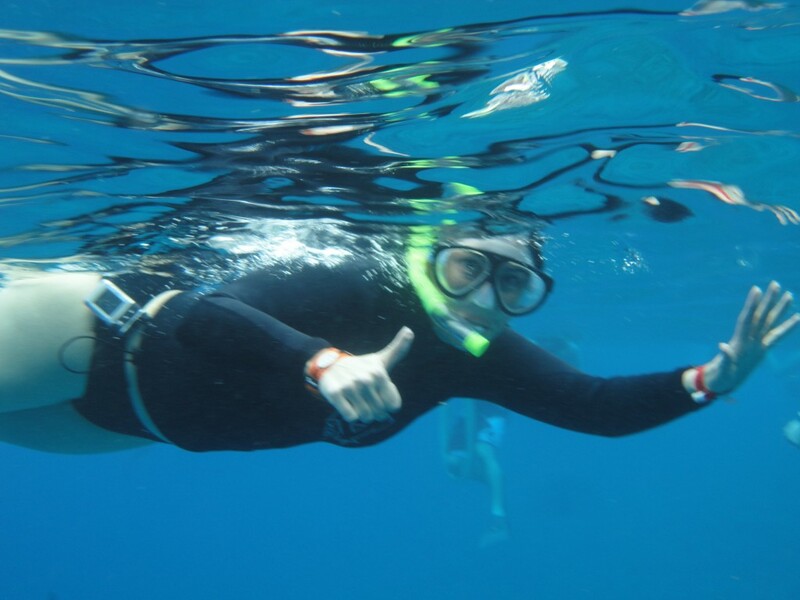 This entry was posted in animas, Dexcom, Diabetes Notes, DOC and tagged Animas, diabetes, diabetes snorkel, diabetes vacation, DOC, dsma, insulin pump water, ping, snorkeling diabetes, T1D, wherethepumpareyou by surfacefine. Bookmark the permalink. This looks like so much fun! I haven’t been snorkeling in years — it was well before my pumping days. Water stuff kinda freaks me out since I put my life in the hands of a little black box with a AA battery. Sadly. Wow, can I say that I’m super-duper jealous, Aqua-Robot-Lady? Looks like a lot of fun. I totally get the diving (pardon the pun) BGs from swimming. Glad you were able to do this! This is SO AWESOME!! Looks (and sounds) like you had a blast! Excellent! I did the same when I snorkeled in Alaska. Your pump can go most anywhere!